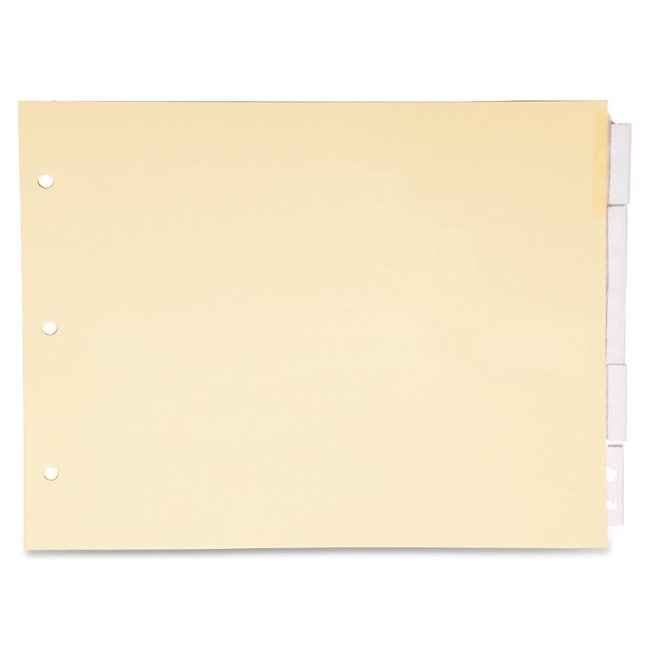 Index dividers are tabbed and sized to fit 8-1/2" x 11" landscape paper in legal binders, including the Stride QuickFit letter-size, landscape binder. Each divider is three hole-punched, and the holes are reinforced. Type or write your tab labels on inserts and slip into the 1/3-cut clear tabs. Set of dividers includes inserts.